DESCRIPTION: This no nonsense 1 hour Running Masterclass is all practical. You will be assessed for weaknesses, imbalances and other issues which can impede your running goals. With corrections put in place we will get to work on your running technique. You will be amazed at what can change in one hour. ONGOING: You are not expected to remember everything taught in the Masterclass. You will receive follow up instructions and exercises by email to guide you to your ultimate goal of Strong Powerful Running. 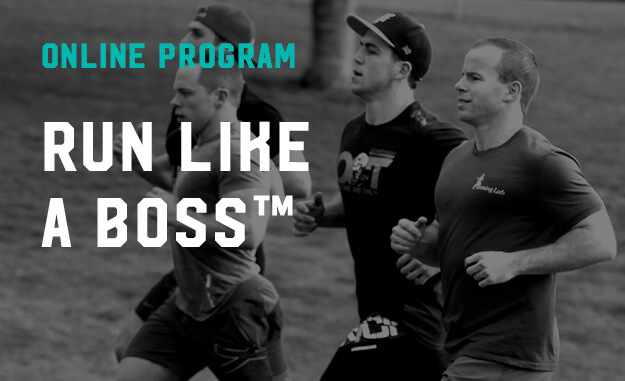 CHECK OUT: Run Like a Boss™ Testimonials below. "The Running Lab is the real thing! I have worked with Tim for my last two Crossfit Seasons. Run Like a Boss™ sessions are always Challenging.. FUN.. and benefit all my other training"
"The running lab makes running ENJOYABLE. I feel.. and can see.. a notable improvement in my running and general energy system capacity. But the best is I no longer dread run-heavy workouts.. as running is now a strength"
"All of my Starr Strength and Performance athletes benefit from Tim's Run Like a Boss™ programming.. As not only is Running an essential athletic skill.. But I see huge carry over to their training in and out of the gym"